Egypt Air has officially confirmed that it will be increasing its flights from CAI to KUL-Kuala Lumpur via BOM-Mumbai from 3 to 4 times a week using a 2 class configured Airbus A 330-200. MS will have 5th freedom rights on all of its BOM-KUL-BOM flights. The additional weekly flight will be launched from Nov 1st onwards and flights will operate on MON/TUE/WED/SAT. MS also confirmed that it has ordered 2 more Boeing 777-300ERs + 2 options as part of its ambitious fleet expansion plan which is expected to bear fruit especially now with the carrier being a full member of Star Alliance. This new order brings the total number of B 773ERs ordered by MS to 8 firm + 4 options. BOM - frequencies increased from 3 weekly A 343s to daily flights using an A 333. LAX - frequencies increased from 5 weekly to daily flights using an A 346. ORD - capacity increased from daily A 333 to daily A 346. PEK - capacity increased from daily A 343 to daily A 346. SIN - frequencies increased to daily A 346 from 5 weekly flights. BOS - capacity increased from 6 weekly all business class B 737-700 to daily A 333. EWR - capacity increased from daily A 333 to daily A 346. CLT - capacity increased from daily A 333 to daily A 346. GRU - frequencies increased from 5 weekly to daily flights using an A 343. DEL - maintains daily A 346 service. PEK - frequencies increased from daily B 773ER flights to double daily B 773ER operated flights. PVG - frequencies increased from daily B 772ER to double daily flights i.e. daily B 773ER + daily B 772ER. IAH - frequencies increased to double daily from 13 weekly i.e. daily B 772ER + daily A 332. PHL - frequencies increased to daily nonstop flights using an A 332. BOS - frequencies increased to double daily i.e. daily B 744 + daily A 332. IAD - frequencies increased to triple daily i.e. daily A 332 + double daily B 772ER. CAI - capacity reduced to 10 weekly A 332s from daily A 332 + 3 weekly B 772ER. GRU - frequencies increased to double daily flights i.e. daily B 773ER + daily A 332. GIG - frequencies increased to double daily flights i.e. daily B 744 + daily A 332. ISB - reduced from 6 weekly B 772ERs to 4 weekly. DXB - frequencies increased from double daily to triple daily i.e. daily B 744 + daily B 772ER + daily B 763ER. NRT - frequencies reduced from double daily B 744s to daily only (this is a permament reduction valid for next summer as well). HKG - reduced from triple daily to 19 weekly flights all using a B 744. BOS - frequencies reduced from triple daily to double daily flights using a B 772ER. IAH - frequencies reduced from double daily flights to 12 weekly, all using a B 744. ***Please note that what is mentioned below is being seriously planned only and nothing is officially confirmed except for the PERTH capacity increase. Though it is 90% guaranteed that GRU will get the double daily frequency. GRU - to be increased to double daily nonstop flights i.e. daily B 772LR + daily A 345. The new daily flight using an A 345 is expected to be a same plane service originating from NGO-Nagoya, Japan. This is because a majority of EK's passenger on board the GRU-DXB-GRU flights are bound for China and Japan. LTN - new daily flights to London Luton are expected to be launched using a 2 class A 332. CPH - new daily flights expected to be launched using a 3 class A 332. PER - capacity confirmed to be increased from February 1st 2009 to daily B 773ER + daily A 345. BKK - 4th daily nonstop flight using a 2 class A 332 to be launched. CGP - new flights to Chittagong, Bangladesh are expected to be launched. CAI - an additional daily flight is planned to commence from Summer 2009. BHX - capacity to be increased to daily B 773ER + daily B 772ER. 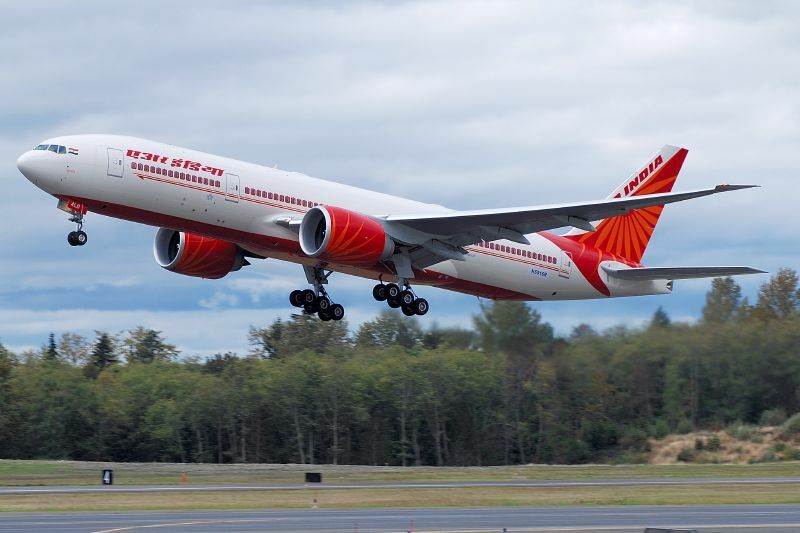 NGO - in-flight product to be upgraded from daily A 343 to daily A 345. CDG - remains online i.e. BOM-DEL-CDG flown 3 times a week using an A 332. BOM/DEL/NRT - capacity reduced from 4 weekly B 743 Combis to 4 weekly B 772ERs. AMD/BOM/LHR/EWR - daily B 744; 5th freedom rights on LHR-EWR-LHR. BOM/FRA/ORD - 4 weekly B 773ER + 3 weekly B 744. BOM/DEL/HKG - 5 weekly A 310-300 terminator flights. ATQ/LHR/YYZ - 3 weekly B 772ER...5th freedom rights on LHR-YYZ-LHR. South African Airways has revealed that it will increasing capacity on some of its profitable routes during the up coming IATA Winter 08-09 season. JNB/PER - capacity to be increased from 5 weekly A 342s to 5 weekly A 346s. JNB/LOS - capacity increased to 2 weekly A 346s + 2 weekly A 343s. JNB/NBO - frequencies increased from daily to 9 weekly flights. Continental Airlines has officially confirmed that it will be increasing its flights from its largest hub i.e. EWR-Newark to London Heathrow effective Oct 26th 2008. CO will be flying triple daily LHR-EWR-LHR i.e. a daily B 772ER + daily B 762ER + daily B 752ER on this route and as a result will suspend all of its USA-London Gatwick flights. CO also officially announced that it will be launching new 3 weekly nonstop flights to GIG-Rio De Janerio from its IAH-Houston hub using a Boeing 767-400 from Dec 17th 08. Flights will operate on WED/FRI/SUN. GIG is considered the oil capital of Latin America along with CCS-Caracas, Venezuela but the former has risen more in importance due to a new oil field discovery of its coast. Singapore Airlines has announced that it will be increasing its flights to Istanbul, Turkey that are flown via Dubai effective Oct 26th 08. SQ will be increasing the weekly flights offered on this route from 4 to 6 weekly using a Boeing 777-200ER. As a result, SQ's SIN-DXB-SIN flights increase from double daily to 16 times a week. SQ also revealed that during the Winter 08-09 season, its flights to Pakistan will only operate twice a week using a B 777-200A. Its current Pakistan flights are routed in a triangular manner i.e. SIN-KHI-LHE-SIN. ISB - capacity reduced to 5 weekly A 320s + 2 weekly A 332s. LHE - capacity reduced to 4 weekly A 320s + 3 weekly A 332s. DEL - capacity reduced to 4 weekly A 346s + weekly A 320 + 2 weekly A 332s. BOM - capacity reduced to daily A 332. COK - frequencies increased from 6 weekly to daily flights flown with A 320s. MAA - capacity increased to daily A 320 from weekly A 319 + 6 weekly A 320. A 332s + weekly A 345s. GVA - frequencies reduced from 5 to 4 weekly A 332s. CDG - capacity decreased to 10 weekly A 332s from 5 weekly A 345s + 5 weekly A 332s. MUC & MAN - maintained with daily A 332 operated flights. FRA - maintained with 10 weekly A 332 operated flights. CAI - frequencies reduced from 13 to 10 weekly flights using a daily A 332 + 3 weekly A 320. KRT - capacity increased to 5 weekly A 332s from 4 weekly A 320s + weekly A 332. BEY - capacity decreased to double daily A 320s. DAM - capacity decreased to 11 weekly A 320s. AMM - capacity decreased to 10 weekly A 320s. KWI - capacity increased to double daily A 320s. BAH - frequencies increased from 26 to 28 weekly flights i.e triple daily A 320s + daily A 332. DOH - capacity decreased to double daily A 320s. MCT - capacity decreased to triple daily A 320s. DMM - frequencies reduced from 11 to 9 weekly flights i.e. 5 weekly A 332s + 4 weekly B 773ERs. RUH - maintained with 8 weekly B 773ER operated flights. SYD - frequencies to be increased from daily to 11 weekly i.e. 4 weekly A 346s + daily A 345.